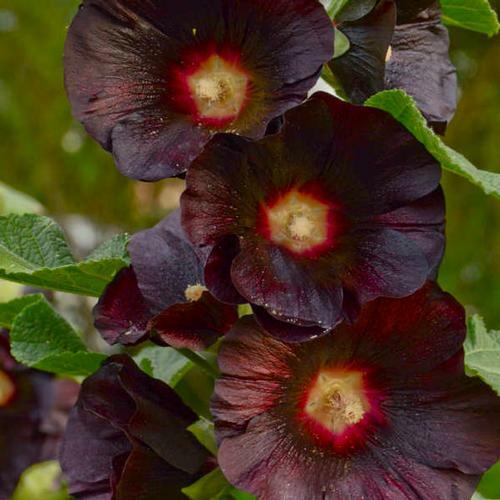 We are addicted to this series of hollyhocks, and you need to have them among your selection. Solid colors, single flowers and best of all, true perennials. Deep purple black.